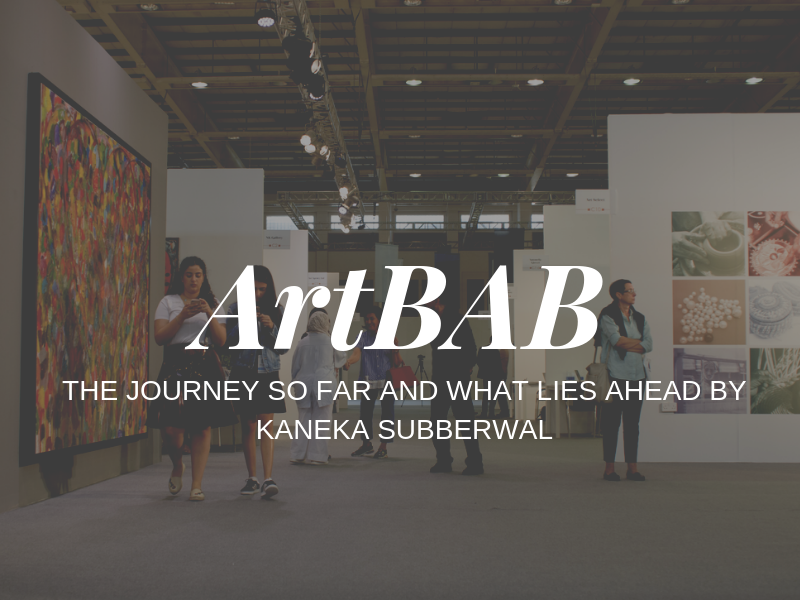 Bahrain Confidential shares a conversation with Art Select’s founder Kaneka Subberwal about the journey so far and what lies ahead on ArtBAB 2019. Initiated in 2005 as a prototype, Art Select was founded through Kaneka Subberwal’s passion for contemporary and modern art. 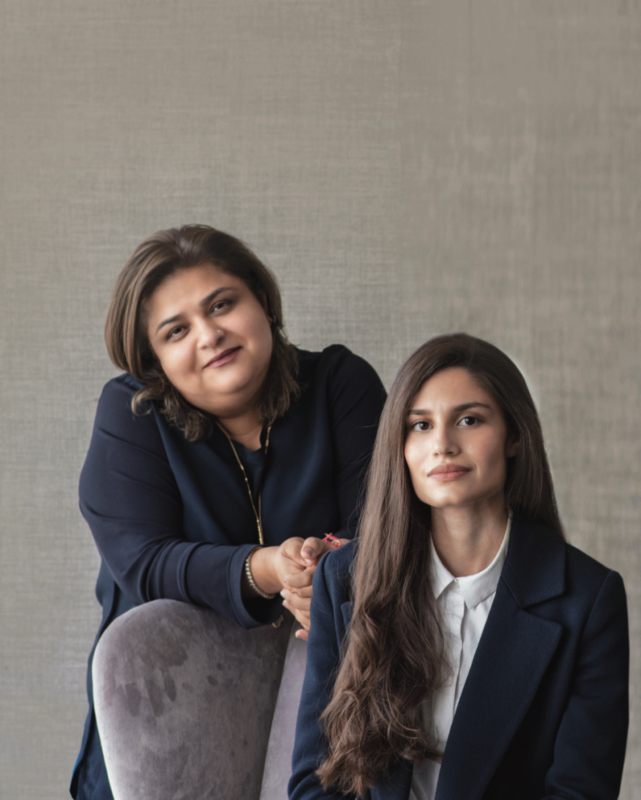 What started as a private passion turned into Bahrain’s foremost art organization. In 2008, Art Select has grown to be an association that creates, conceives and manages the ‘business of art’; a key point that most people shy away from. According to Kaneka, being commercial does not always mean that the intent is for the profiteer – every focus need a commercial variable, otherwise the craft will either die off or outlive its utility. Kaneka believes that art is not only about an artist creating his work, only to be confined within the four walls of his studio. Aside from creating for the sake of creation, it is about the inspiration, motivation and reward that each artist will be able to receive through the communication and appreciation of his expertise. She says, “sometimes we forget that like all of us, artists have their own roles and responsibilities too and the making art is his means so we must support it.” Today, Art Select is an art advisory crafting artist platforms, art events and investor art portfolios. Over the past 12 years, Art Select has done over 60 art shows across Bahrain, Dubai, London and Oman. Those are the building blocks of our flagship project ‘Art Bahrain Across Borders’ (ArtBAB). 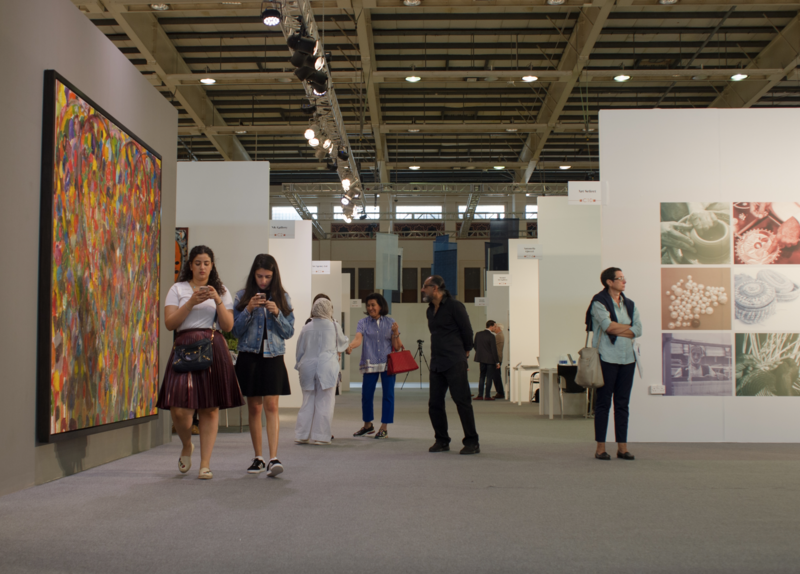 Bahrain Across Borders aims to attract leading international galleries to the Kingdom. It focuses on powering the expansion of the art market while easing the development of local Bahraini artists. Kaneka and her team have invested everything in this venture when they conceived its prototype back in 2015. After its first edition, they took a year and added a vertical of artists during ArtBAB’s launch in 2016. We believe that art is not only about an artist creating his work, only to be confined within the four walls of his studio. Aside from creating for the sake of creation, it is about the inspiration, motivation and reward that each artist will be able to receive through the communication and appreciation of his expertise. Today, over 70 Bahraini artists have benefitted from the program since its launch. The International artists program has traveled to various countries like United Kingdoms, Russia, India, France and Singapore. 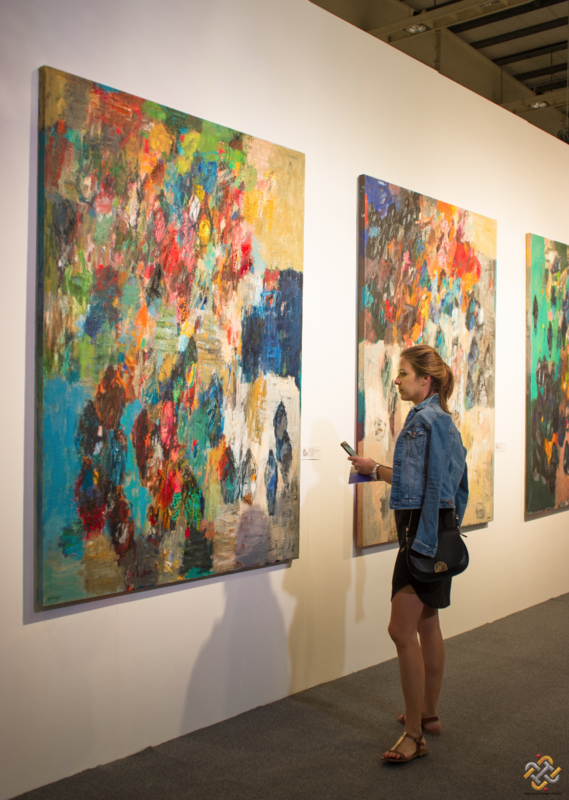 The sales of the Bahraini artists have consistently shown a 50 percent increase in volume annually. “The magnitude of her umbrella of support and guidance backed by the collaboration of Tamkeen, our strategic partner, are in fact the spinal cord of ArtBAB. Their investment to the creative sector is a reflection of the extent of their emphasis on human resource upliftment and development across the country” Kaneka added. ArtBAB’s story began with Kaneka’s journey in Bahrain. I’ve acquired knowledge about the thriving art scene as well as the passion, warmth and integrity of this beautiful nation. What began as a ‘one-woman enterprise’ has grown into a team of young invested youth, who truly gives every bit of what they have to the project. A perfect example being the Fair Manager Tasneem Al Shurougi. Kaneka says that she’s lucky this need was identified, acknowledged, advised and guided by none other than, Shaikh Mohammed bin Essa Al Khalifa, Chairman of Tamkeen, whose astute vision escalated hers from a thought to a national platform. “I still remember a conversation four years back where he distinctly said “our artists have the talent we must create the best platforms for them, equally” that was set in stone and there was no looking back”, she added. ArtBAB’s theme this year is ‘Legacies’. Kaneka said that they’re also introducing intensive talk programs on virtual reality, artificial intelligence and block chain in the field of art. The ‘Bahrain Room’, will also be premiered this year at the fair; it is a collaboration between our artisans and designer JJ Vallaya to create bespoke pieces of collectibles and lifestyle retail. The said is in addition to our BAAB Pavilion of 30 artists, 16 international galleries from 14 different countries and 17 artist stands definitely make ArtBAB 2019 an edition to look forward to. My team’s capabilities give me a little more time to lay the foundation of what I deem as the next phase – larger and stronger. We have the ingredients of a key creative economy and now that ArtBAB is established, it is now time to take it to the next level. Inshallah, we’ll save that plan for the next interview!